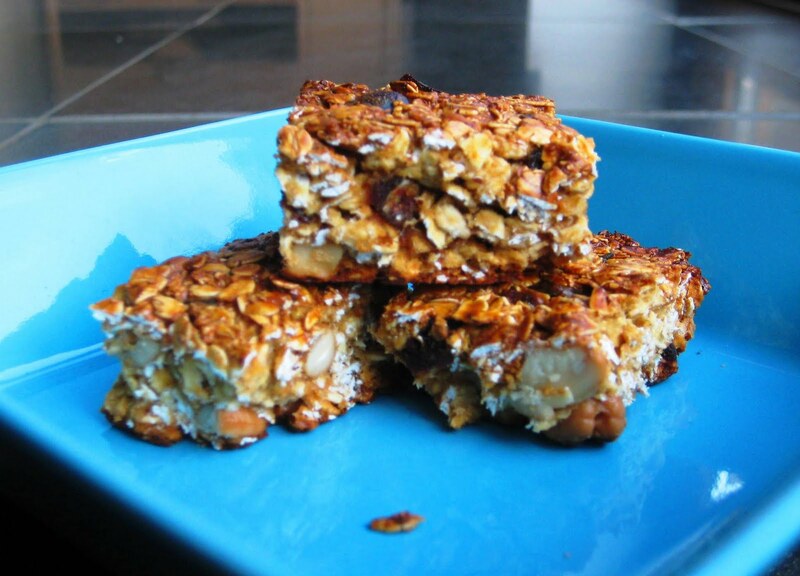 This recipe is an adaptation of Nigella's breakfast bars and is a brilliantly straightforward alternative to making flapjacks. Really all the preparation you have to do is to open a can of condensed milk - no faffing around weighing out butter/sugar/syrup etc and getting in a sticky mess. I've played with the recipe to make it a little more arthritis-friendly and slightly less fruity, but you can fiddle around with the mixture and try different combinations. Pre-heat your oven to 120c. In a large bowl, stir together the all the ingredients. Grease a 23x33 tin well with sunflower oil or butter. Pour mixture in and press down well with a fork. Bake the bars for about 45 minutes. Remove from oven and allow to cool for about 10 minutes before cutting into 16. Leave to cool entirely before removing from tin. These will keep for about two weeks in an airtight tin. These are a great way of getting a big energy boost in a small package, so are perfect for when you are feeling worn out and hungry. You get a quick burst of sugar from the dried fruit and condensed milk, followed by the slower release of energy from the healthy fats in the nuts and the fibre-full oats. They are very high in sugar so go easy if you are watching your weight or your teeth! Check out this post if you want to find out more about benefits of brazil nuts in arthritis.